Daily competition to see who is the best animal tracker this side of the Mississippi. In this class you will learn to climb a tree stand safely, set up trail cams, and other basic hunter safety tips. 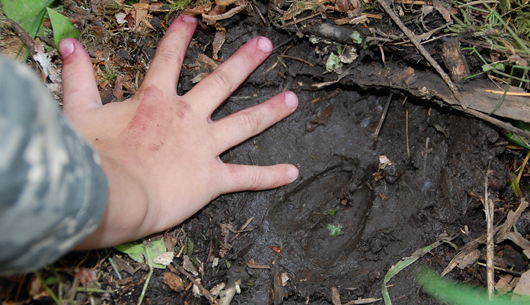 Come join me this summer at Camp War Eagle, check out the Animal Trackers.